I am fascinated by all things endurance. This month I am following the inaugural Great Pacific Race — billed as “the biggest, baddest human endurance challenge on the planet.” On June 9, 34 adventurers in 13 boats set off on an epic 2,400 mile endurance race from California to Hawaii. Time magazine commented that this is “the worst way to get to Hawaii ever.” Most people would agree. But for folks with a thirst for adventure and who are rowing for a cause, there is no better way to get to Hawaii. 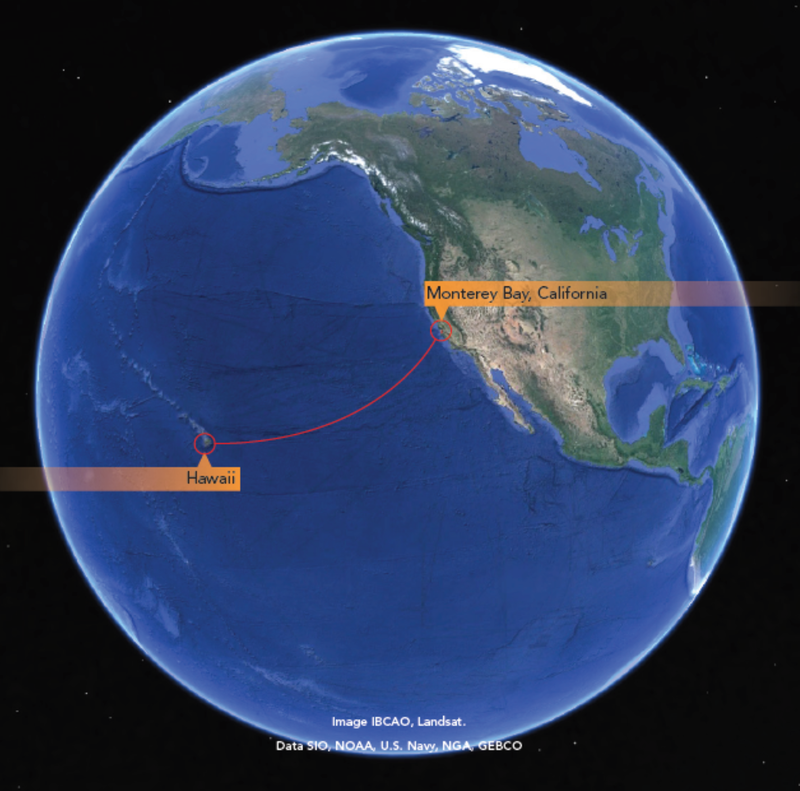 Some teams will take as many as three-months to cross the 35 lines of latitude between the coast of California and Hawaii. Keep in mind that teams must carry all of their food and supplies with them. There is no place to stop to rest along the way or to replenish supplies. And, should they get in trouble, only two rescue boats support the event. And, these two boats must cover racers stretched out over 700-miles of ocean at any given time. That’s why teams must pass courses in VHF radio, sea survival, first aid, boat safety, and advanced navigation. 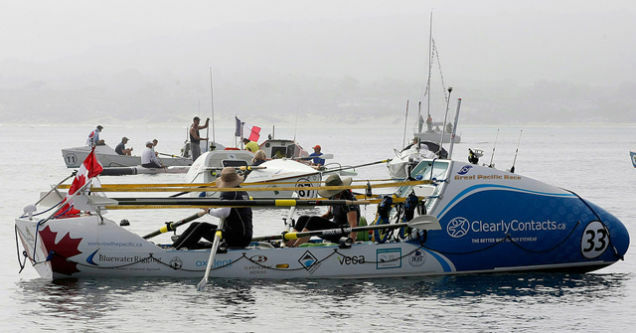 This race is correctly billed as “the biggest, baddest human endurance challenge on the planet.” More people, in fact, have been to outer space than have rowed across the Pacific. For some, this race will be an opportunity to make history. For all, this race is a platform to raise awareness and funds for causes they are passionate about, everything from medical to environmental concerns. Additionally, each boat is required to collect ocean water samples that will be studied to update the state of plastic pollution in the open ocean — a cooperative initiative with the Adventurers and Scientists for Conservation organization. There are so many things that can happen over 2,400+ miles of open ocean. As of two days ago, five of the thirteen boats are out of the race for reasons ranging from weather to medical to mechanical issues. Still in the race are one solo team, two tandem teams, and five 4-person teams. These remaining teams are averaging about 37 nautical miles per day in spite of dealing with challenges like broken oars, blistered hands, rough seas, and more. Their collective thousands of hours of training are being tested around the clock. Just think, when we go to bed tonight some of these teams will be rowing through the night and others trying to get a little rest on windy seas. I am fascinated by all things endurance because I believe that difficult and challenging situations become the context for making the greatest discoveries about ourselves and about the validity of our respective world views. As a Christ-follower I have learned the most about God and about myself in those periods when I have felt as though I was in the middle of a vast ocean with wave after wave crashing over me (Ps. 42:7). Waves are often used in Scripture as a metaphor for trouble or tough times in our lives. “You rule the raging of the sea,” the psalmist wrote, “when its waves rise, you still them” (Ps. 89:9). And indeed He can. When waves of trouble crash over us and threaten to beat us against the rocks, we can always call on Him who rules the seas. He can calm the waves and He can calm our hearts. I am rooting for all of the remaining teams on the Great Pacific Race. These adventurers are an inspiration and a reminder to keep rowing toward the finish line. That’s an amazing test of endurance and trust in your team. It really is. I can’t wait to see how many will reach Hawaii. Look out Doyle. Omar may want to try this next.